Get acquainted with personalities and places depicted on Ukrainian banknotes, find out the etymology of Ukrainian currency name and other interesting facts! 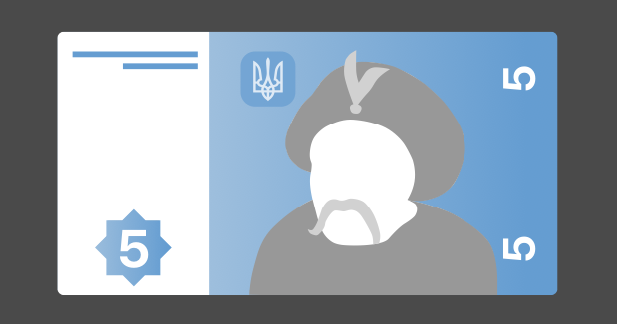 At the end, take a virtual tour of The Museum of Money of the National Bank of Ukraine and take the quiz! …or гривня in Ukrainian. 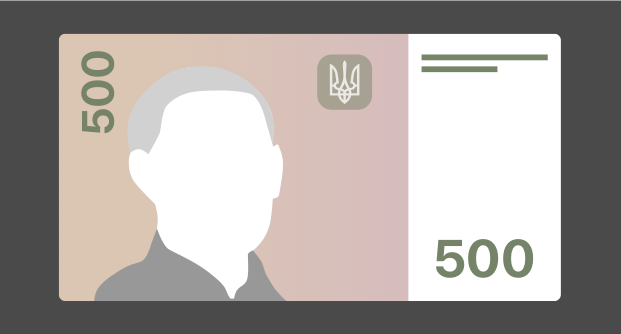 The hryvnia code is UAH. 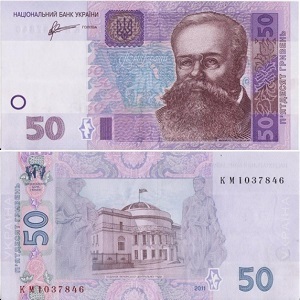 It was proclaimed the national currency five years after dissolution of the USSR in 1996. Fact #2. The official sign for Ukrainian money is ₴. It consists of the cursive Cyrillic letter “г” and a double horizontal stroke. 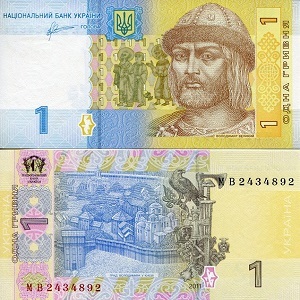 The letter “г” stands for the first letter in the Ukrainian word “гривня” (hryvnia). The double horizontal stroke symbolizes stability. 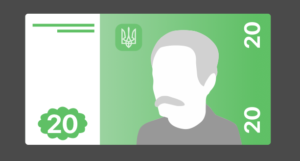 The same sign is used in the European € and the Japanese ¥ currency symbols. 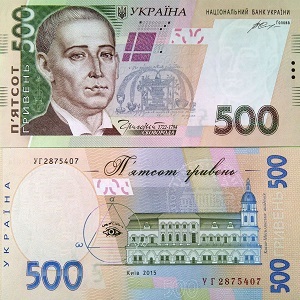 In Ukraine, the abbreviation грн is used more often than the hryvnia sign. Fact #3. The Ukrainian currency got its name in honor of the old currency. 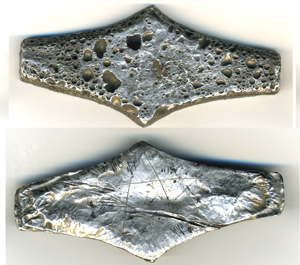 The word probably derived from Slavic word “hryva” with the meaning “mane” and consequently “hryvna” with the meaning “neck jewelry”. 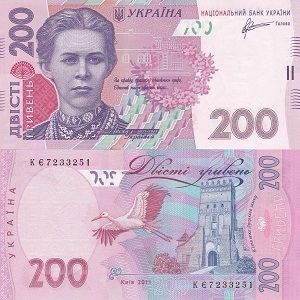 According to etymologists, the meaning of the word “hryvna – neck jewelry” was complemented with the meaning “monetary unit” due to the widespread tradition of making neck jewelry out of coins. 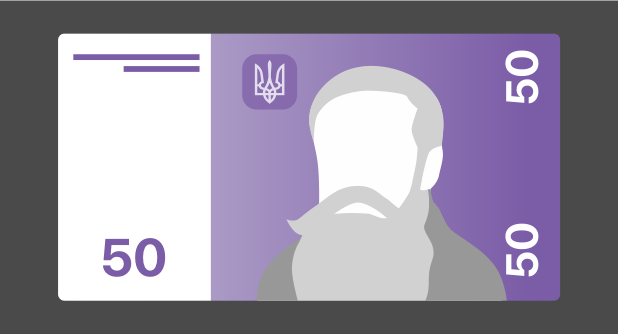 …represent important personalities who lived in the territory of the present Ukraine in various historical eras. 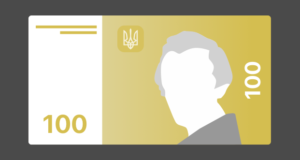 On the back side of the banknotes, these motifs are completed by depicting places related to the names of these personalities. 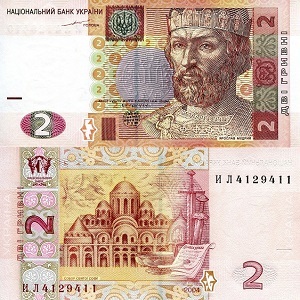 Currently Ukrainian hryvnia is issued in 1, 2, 5, 10, 20, 50, 100, 500 denominations. Fact #5. 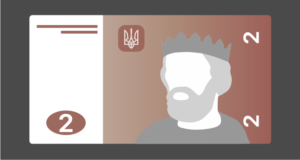 Hryvnia coins are копійки. 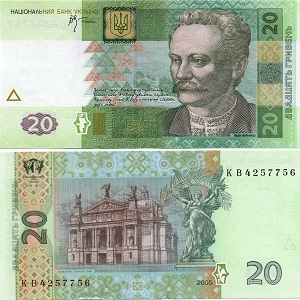 Currently Ukrainian копійки are issued in 1, 2, 5, 10, 25, 50 and 1 hryvnia denominations. 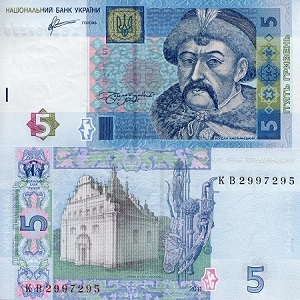 Obverse: the Ukrainian tryzub (Coat of Arms), the name of the country (Ukraine), year minted and floral ornament. 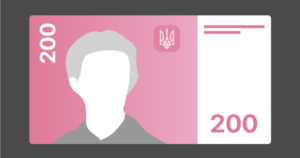 Reverse: denomination and floral ornament. …depending on the number used before it. сто одна гривня (101 грн) For numbers ending with 2, 3, or 4 the nominative plural form гривні is used (except 12, 13, 14). 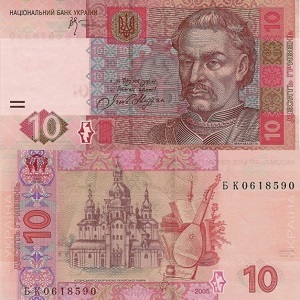 сто три (103 грн) For numbers ending with 5 to 9 and 0 the genitive plural form гривень is used. 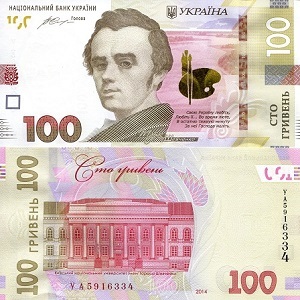 The singular for the subdivision is копійка, the nominative plural is копійки and the genitive is копійок. 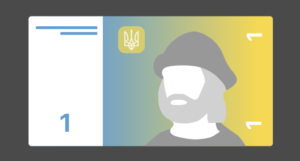 …in Kyiv (9, Instytutska Str., Kyiv, entrance No 5). The museum’s collection can be viewed online by taking a virtual tour, available on the NBU’s official website. The 3D virtual tour offers viewers an opportunity to explore all the showcases. Recognize the personalities on the pics. Recognize the personalities on Ukrainian money! The National currency is one of the symbols of the country’s independence, it can say a lot about the history and culture of the nation. 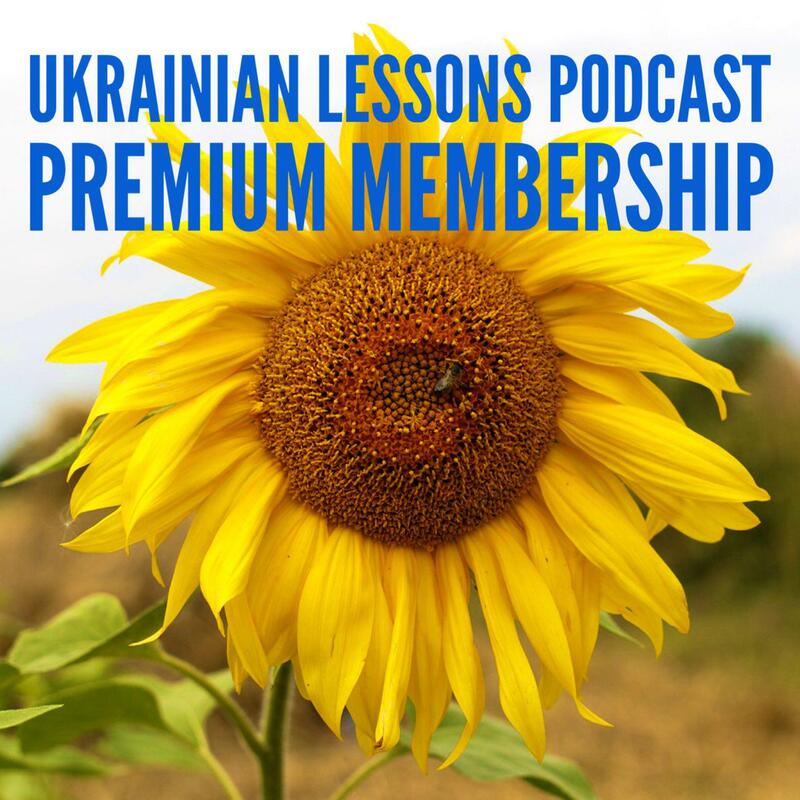 I hope today’s article helped you to learn more about Ukraine. 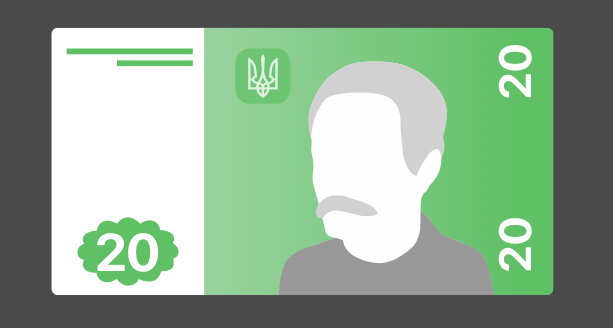 Tell us some interesting facts about the national currency of your country!